We start are Halloween coverage with some frightful characters we’ve spotted in various Menlo Park neighborhoods. The scary witch was spotted by Robin Tobias somewhere along the creek. 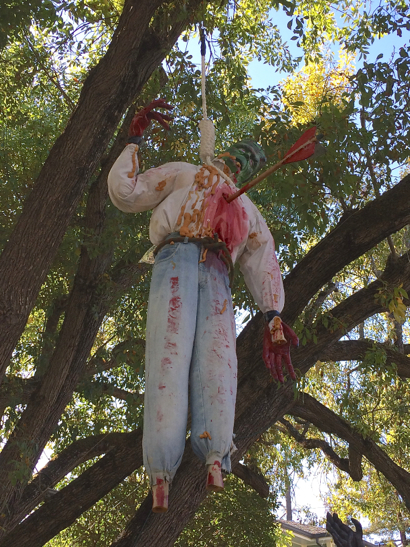 The gory Frankenstein hanging from a tree can be seen on the always decked out Sherman Avenue (especially the section between Dakin and Avy Avenues). 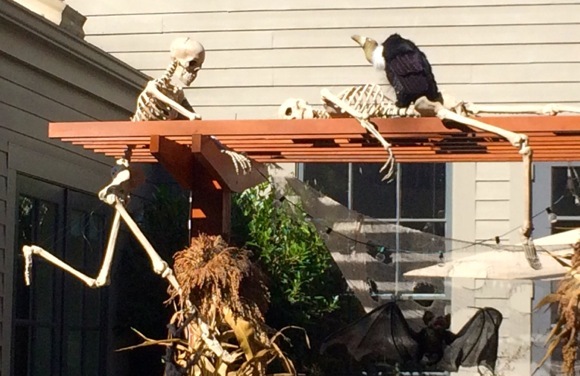 The vulture visiting with two skeletons is on Bay Laurel near San Mateo Drive.